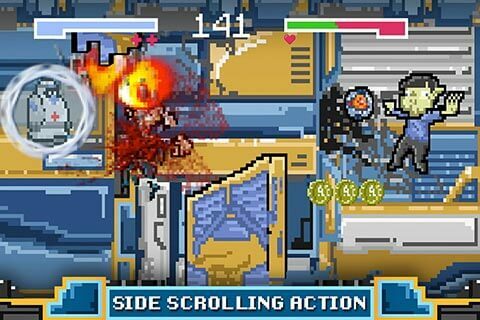 Available on the Apple App Store, Robot Rundown puts a new spin on the old arcade games of the past. With a fun and humor-filled story line that ties directly into the popular Sci-Fi web series Transolar Galactica, Robot Rundown offers both Transolar fans and newcomers an addictively entertaining gaming experience styled completely in an “old-school” 8-bit look. Features: – A classic 8-bit arcade art style — because what could be cooler? – 10 Unique and engaging levels — filled with enemies ripe for the slicing! – A fully interactive Adventure storyline — with character growth and everything! – Three tiers of difficulty – for the Brain Depleted to the Brain Enhanced – Hours and hours of entertaining gameplay — because we love you. The game will test your skills as you battle your way through 10 levels of arcade shooting action. You play as Sol-Bot, the underappreciated, motorized newbie of the S.S. Transolar’s crew. After an unintended crash, you learn that the S.S. Transolar’s flight records, including the truth behind the accident, are stored within your databanks. That makes you a target. Now the UGCA is after your beating mechanical heart, and it’s up to you and your Transolar allies to escape. Use your thrusters to dodge obstacles, fire your Destro-Disks to destroy enemies, or just use your shields to crash through them all. 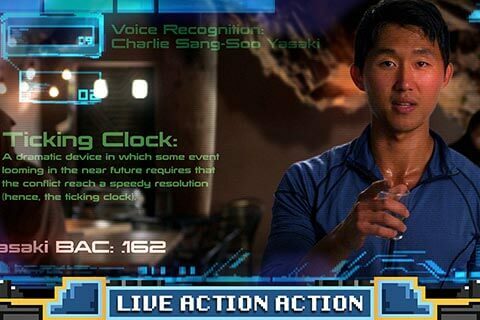 On top of the fun and challenging gameplay, Robot Rundown also features nearly 30 minutes of HD video content in both animated and live-action cut scenes which humorously weave the story of Sol-Bot’s harrowing escape throughout the entire game. Robot Rundown is currently available for $0.99 (US) on the Apple AppStore. Please visit www.robotrundown.com for more Robot Rundown information, including videos and screenshots of the app. Also be sure to visit www.transolargalactica.com to learn more about the Transolar Galactica series. Robot Rundown was developed by Transolar Galactica Proudctions, LLC in partnership with Vexing Media, a digital media company based in Spokane, WA.